Wouldn’t You Like to be Seen Carrying the Ferrari of Photo Backpacks? Very few of us will ever have the good fortune to own a Ferrari – or even sit in one (and if we did, then we would probably not be photographers), but you can experience the same quality of workmanship, the same joy of being among the privileged few and the envy of all your photo buddies when you pack your equipment in the RPT P3 Backpack from Photobackpacker. It might seem a bit farfetched to compare it to a Ferrari, but once you “looked under the hood” of the RPT P3 and take it for a spin, you may actually be happy that you own this exceptional backpack instead of a Ferrari. After all, if you’re the kind of photographer who yearns to be in the world’s wildest places to capture the landscape, nature and wildlife images that no one has ever seen, a Ferrari won’t be of much help, but a great backpack will. Comparing the RPT P3 to a Ferrari begins with the ultimate comfort you’ll experience whenever you’re cruising through a forest or jungle or accelerating up a mountainside. That was Bruce Laughton primary goal when he founded Photobackpacker and started designing the RPT P3. As a long-time, large-format photographer himself, he understood that the hardest part of backcountry photography isn’t taking pictures, but the long trek to the perfect location. Bruce realized, however, that too many of the current photography backpacks keeps most of the weight on your back; so by the time you reach your shooting spot, you’re too exhausted to be creative. With a background of 28 years in manufacturing, he knew that he would likely find the essential element of his backpack not among photographers, but the world’s greatest adventurers and mountaineers. They’re able to travel across the world’s roughest terrain and scale the highest altitudes because of felt-weight reduction. This term is engineer-speak for a backpack that transfers more of the weight to the muscles of your legs, which nature intended instead of your back. Bruce discovered that what adventurers and mountaineers use is a backpack with a “technical” suspension system, which simply means the backpack is stiff as well as flexible in the right places. When he learned that Granite Gear had received the Outdoor Product of the Year award and Backpacker Magazine’s Editor’s Choice for its Air Current suspension system, he knew it had to be the core of the RPT P3. Although Bruce didn’t consciously intend to create the Ferrari of photo backpacks, he added another essential element to the RPT P3 that Ferrari owners expect: a custom ride that is like no other Ferrari or vehicle. Your RPT P3 from Photobackpacker will be truly unique because it is custom-fitted for your body, your equipment and your particular photography challenges. Bruce and his design team developed 8 interchangeable belts, 3 shoulder straps, 2 torso frame sheets and 10 torso length adjustments, which can be configured into 240 possible combinations – and one is perfect for you. “I have never had a backpack that let me carry all my 8x10 gear so effortlessly. Until now, it was always a lot of work to take the 8x10 hiking between my other packs and bags. Your lightgear system was exactly what I needed for both my 4x5 and 8x10 systems and the new pack exceeded my expectations. I can't wait to load up my 4x5 system in the new pack; it will seem light as air. Thanks again for designing and building such great products. Daniel was so excited about his backpack from Photobackpacker because it was customized for his body and his equipment. 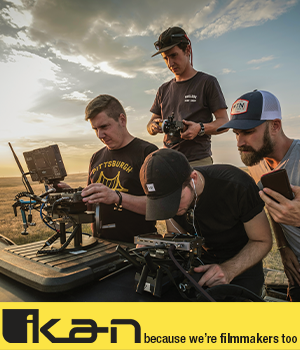 After all, that’s why you and Daniel expend so much energy to haul large-format cameras into the wilderness: you know you need the right equipment to capture the best images. 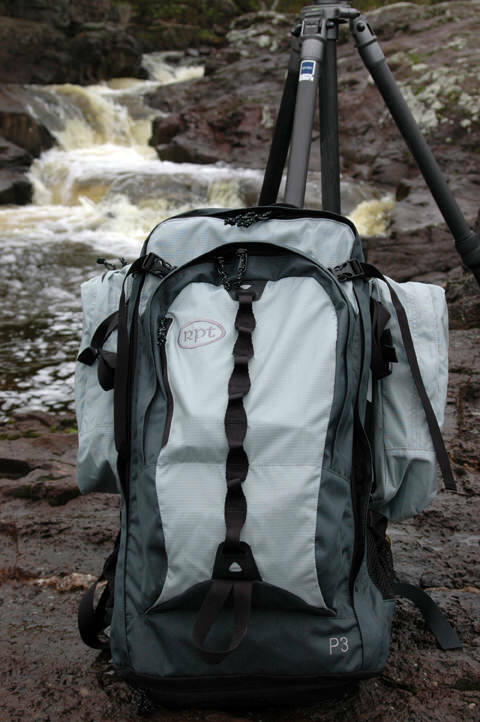 The design team at Photobackpacker made the RPT P3 to be essentially an empty shell without any equipment padding. Then, the team created a series of enclosures for the specific sizes of cameras that nature photographers want to carry into the backcountry. Each enclosure fits the shell of the RPT P3, so you can easily and quickly swap one for the other. The P3-SLR-ENCR1 Backpack includes the RPT P3 shell and the SLR/DSLR partitioned enclosure, which has room for 2 camera bodies (SLR/DSLR or medium-format), 7+ lenses and all your accessories. If you work with a 4x5, 5x7 or 8x10 large-format system, then you can use the Photobackpacker Website to choose from a comprehensive list of the most popular LF cameras and enter the dimensions of your camera and then select a camera case according to its internal case dimensions. That’s very similar to what happens when you visit a Ferrari dealer: a total customized fit (although it’s unlikely any of us will be visiting a Ferrari dealer anytime soon – it’s just too painful to envision what we can never afford). The one feature of the RPT P3 Backpack from Photobackpacker that distinguishes it from a Ferrari is that you can always rely on it to do its job while a Ferrari seems to be always in the repair shop. Visit photobackpacker.com to learn more about the Ferrari of photography backpacks and see the company’s many other quality products: lenses cases; backer boards; accessories, such as film holders, shoulder straps, optional pockets and dividers; and a Betterlight scanning back case.